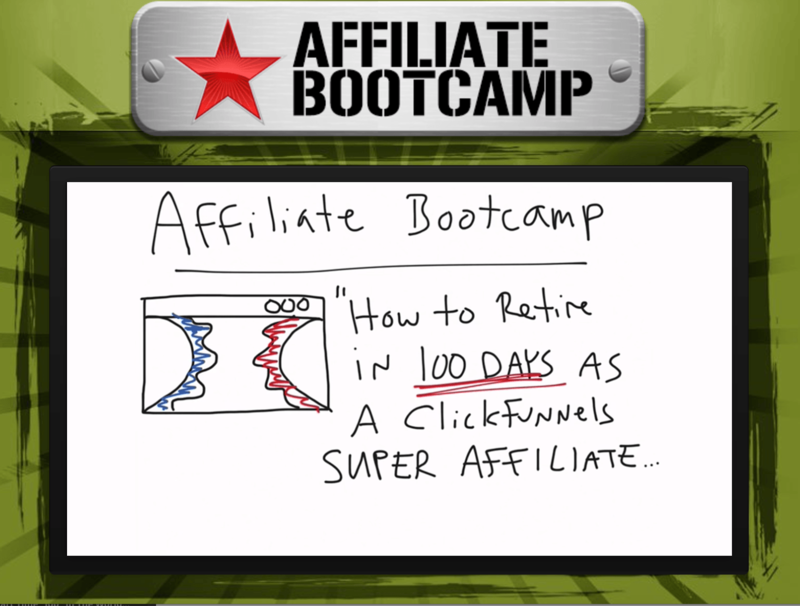 ClickFunnels – 100 Day Challenge – 1st Update | Checking For A Scam, So You Don't Have To. I had a bit of an issue receiving the emails but where all set and on track. I have to say for a free program I have really learned some valuable things. Being a bit worried at first, the thought of having to listen to one person talking for a long period I wasn’t sure about it. Very soon after the first lesson my fears where put to rest. The information from the start was very interesting and very informative. He went straight into the basics so this post shouldn’t be to long I just want to give you an idea what’s been happening so far. This was basically about getting things set up and getting an overview of what we will be doing. We got involved in the Facebook page where the members in the 100-day challenge go to ask questions and talk about things that are going on with your business. It seems like there are plenty of people involved in this and active on the Facebook page. I have to say again I was pleasantly surprised. We also went through and set up our affiliate account and learned about some of what they have to offer. Did our W9 so when we make money we can get paid. These where the 4 actual days we went through the beginning was just that the start of the program. Russell Brunson, is the speaker so far and as I said he has been very interesting so far. Russell makes some very good points like in The Secret Formula training he talks about work. You can go to collage get out get a job for $30K to start, keep working the same job for years and hopefully get up to $60 or $70K and then retire on much less. His way you work like crazy for a month or so but insane amount of work. You decide, when you think of it would you rather work insane amounts of time in a short period or work smooth and easy for 40 years. I have to tell you the way he explained it was much better than I can write it. Its tough cause I am giving away the ending and there’s no lead up or back story. Remember though this is free so you can jump in at anytime and catch up or go at your own pace. You can return here if you have questions I will get the answers. The attractive character is the idea of building an online presence. In other words you want to give people a reason to come to visit you. We will use YouTube as an example lets say you went on YouTube every day and posted a video. You where posting videos on how to jump higher, this is the example he used in the training. So everyday you posted tips on how to jump higher because your goal was to dunk a basketball. All of a sudden you have all these professional basketball, football, and baseball players coming to your site to learn the tricks or exercises to jump higher. Now you have all these followers because you have built an online presence or your attractive character. Think of it as being an actor making a character, why do you watch your favorite show its most likely because you like a or the characters on the show. So you watch it every week or when ever its on. That’s what we need to build so we can get a following and then people will naturally buy from that character you built. People will buy from someone they like or someone they believe is an authority or an expert on something. So remember every time you get stuff done you make money. Once you have built that attractive character you will make money. Once you build that funnel you will make money. That’s the point were going to get to, getting stuff done will make us money. The idea of this lesson is if you can outspend your competition, you will beat them for that customer every time. Because, we are talking about an online presence we can out spend our direct competition. Just for an example if you are in the diet space and you’re trying to go up against Hydroxycut you can’t beat them in ad spend on TV. They just have way to big of a budget, but online you may be able to outspend. The idea of this is to not just look at your front end, the perfect set up is you break even on the front end but the back end is mostly profit. So if, we where to put in $20 on the front end to get a customer as long as where bringing in $20 on the front end where in great shape. To make this funnel a very lucrative one we make the money on the back end. That is where people excel is when they break even or even make a little on gaining the customer and make money selling to the customer on the back end. This is much clearer on the video I hope your at least getting the concept. Traffic you control – That would be the traffic from Facebook you don’t own the traffic but you can put an ad on Facebook and control where the traffic goes. Or go to Google and place a pay per click ad the traffic is still Googles but with the ad you can control where it goes. Finally, you can go to someone who has an email list that is perfect for what you are selling and you pay for an email blast, again you don’t own the traffic but you have a say of where it goes. Traffic you don’t control – An example of traffic you don’t control is SEO traffic, you can do a bunch of things and hope for a result but you don’t have control over it. Say you write something on Facebook or Twitter someone shares it or likes it and then somehow you get traffic from it, again you don’t control it. Both of these traffics are good lets face it any traffic is good. What we want to do is take the traffic we control and the traffic we don’t and make it traffic we own. Traffic you own – Traffic you own is the best traffic there is, once you own it you don’t have to buy it again. You can send it wherever you want it to go. The thing everyone should be doing is building a list getting people / visitors to sign up with their email. Once you have a good list built up you can send out an offer and in the morning have money in your bank account. It’s your chance to write your own ticket. I’m sorry this post ended up longer than I thought it would. I felt there was some very good information I wanted to share so you could get an idea of what we are learning. Like I have been saying it’s up to you at this point if you have been looking for a way to succeed online this is your guide. This has only been up to day 4 and I feel like my eyes have been opened to things I never thought of. There is a lot more to go through but as you can see we are getting the basics. There is still time for you to join us and see where this can take you. The great thing is it’s not costing us a penny to give it a try so why aren’t you signed up yet. I have looked all over this internet for a way to make money online and so far I feel like this is the best 1 – 2 punch in the business. With all the help I receive from Wealthy Affiliates, web hosting, site building, online help, tons of training in the form of videos and blog posts. I feel like success is right around the corner, its up to you if you want to come along for the ride. Thank you for visiting my site. As always please leave you questions and or comments below I try to get back to everyone in less than 24 hours. Next Post:Instant Commission Blueprint – Scam Or Not? I wish I could just say you sign up and in no time you make money. The reality is to make money online you need to put in the work. Every niche is different and it depends on how you promote your site. With WA you will find out different ways to promote your site, store, or blog. You get out what you put in there is people that have made money in the first month and some it took 5 or 6 months. But, if you follow the training you will make money. I have to mention the community at Wealthy Affiliate they are the best. If you have a question rest assured someone will have an answer! I have tried so many different programs I lost count, I have wasted so much money its really quite sad. I am so glad I found this site and I bet you will be too.